So, here is what I'm working on at the moment. Right now it's just a bunch of scattered pieces, but slowly I am pulling it together into a coherent manuscript! 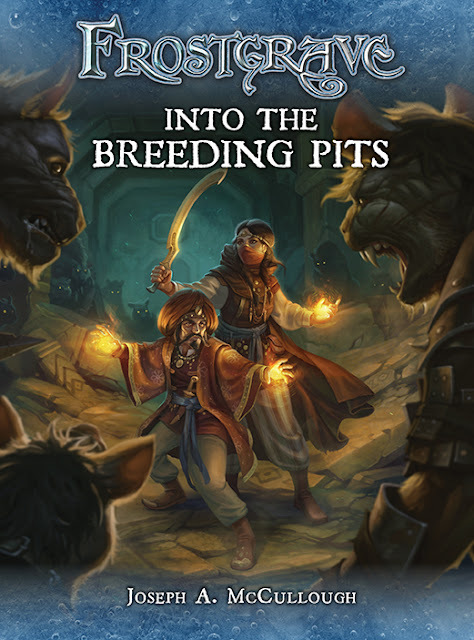 I think Dmitry Burmak has done another amazing job on the cover artwork. It's a testament to his own imagination that he can take my notes and turn it into something like that! 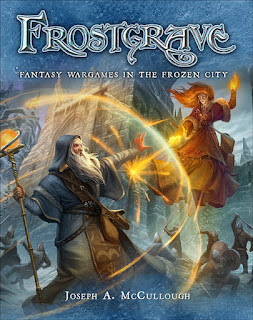 It is now just over a month since Frostgrave was officially released, which is hard to believe. So much has happened in that time, it is hard for me to process. So, I thought I might try and summarize everything that has happened, as much for my own benefit as anyone who might be reading. 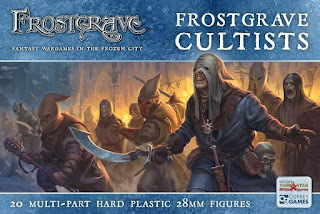 Frostgrave officially launched with a pre-order campaign from Northstar known as a ‘Nickstater’. 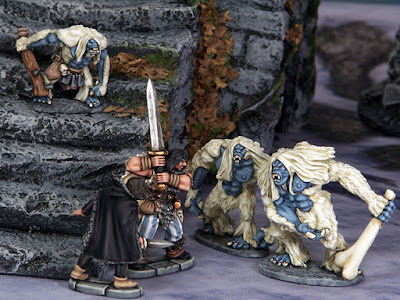 The various deals in the Nickstarter included the book and a load of figures, some of them official Frostgrave figures, others just great figures that could also be used. The Nickstarter raised just shot of £40,000 in sales, and, I believe, had about 1,000 participants. The game officially went on sale on 20 July. It sold out in the UK about two weeks later, and in the United States about a week after that. A second printing is now all but exhausted and a third is on its way. I think it is safe to say that both Osprey and I have been a bit caught off guard by how quickly the book has sold! 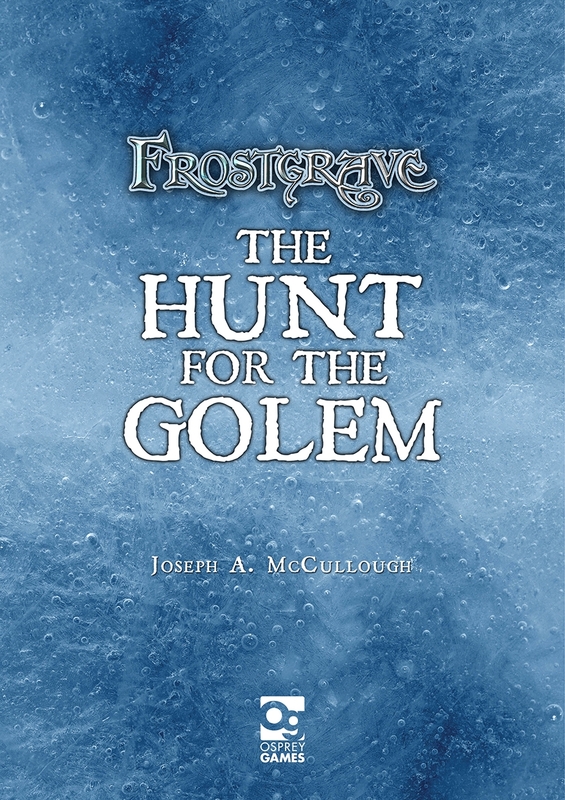 In September, the mini-campaign Frostgrave: The Hunt for the Golem, which was originally given away as part of the Nickstarter will go on sale as an ebook. In November, The Thaw of the Lich Lord, a 64-page print expansion will go on sale. This will be preceded by a second Nickstarter which will feature a second set of plastic soldiers and a bunch of new metal figures. I can say that I have now been commissioned by Osprey to write more Frostgrave material. There will be a second ebook mini-supplement in January and more beyond that, although I have been asked not to reveal too much about anything at the moment. As for the rules themselves, the reception has been generally very positive. I think people have been most attracted to the game for three reasons. 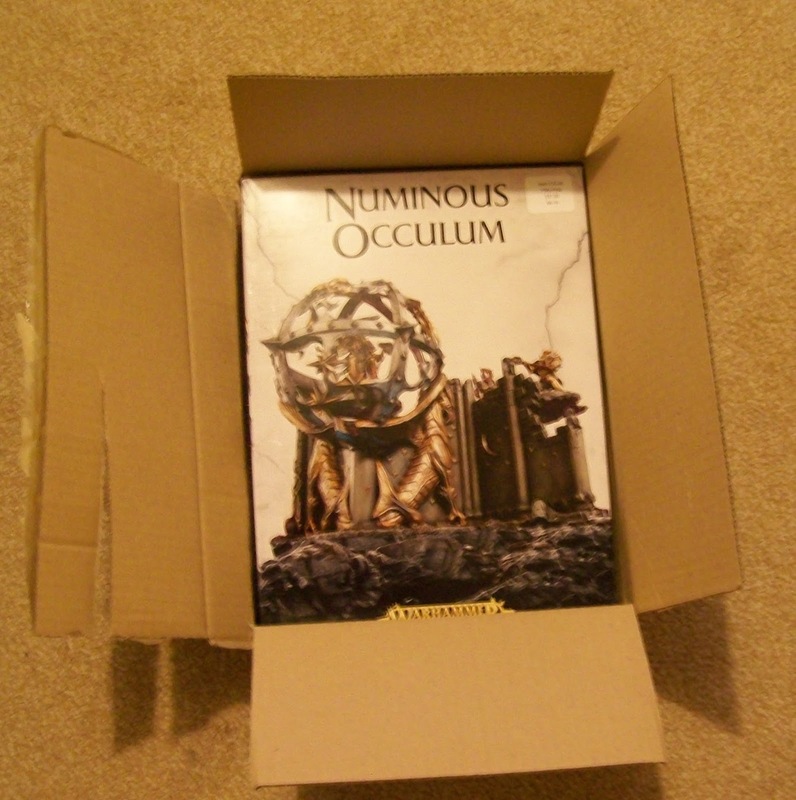 The central theme of magic and wizards, and the wide variety of spells to choose from; the openness of the setting that allows almost any fantasy miniatures and terrain to be used, and the narrative feel of the game that encourages storytelling and has an rpg-light feel to it. The game has not been without its controversies though. 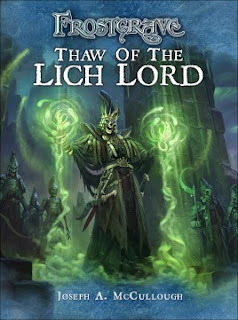 Most of these have revolved around the campaign system and the potential imbalance between wizards of different levels. The single biggest controversy has been about wizards getting experience points for killing opponents. Some believe this too greatly favours wizards who feature more offensive spells. I understand the logic here. Certainly, a wizard with a powerful attack spell has more chance of getting experience points for defeating an enemy than one who does not. However, I have found that such wizards also have a greater chance of death. They have to put themselves in harms way in order to use their spells. That said, the play-testing I was able to conduct while working on the game is nothing compared to the thousands of games that will hopefully be played over the next year. The experience system is something I’m very interested in, and I hope to see a lot of reports so I can better determine if there is an issue. On a similar subject, there has been a lot of talk about the lack of a 'balance system’ in the game, meaning some kind of rules that attempt to create an even game between two warbands of differing experience and wealth. There are two reasons I didn't include such a system. First, I think, so far, most people greatly over-estimate the actual power difference between warbands. 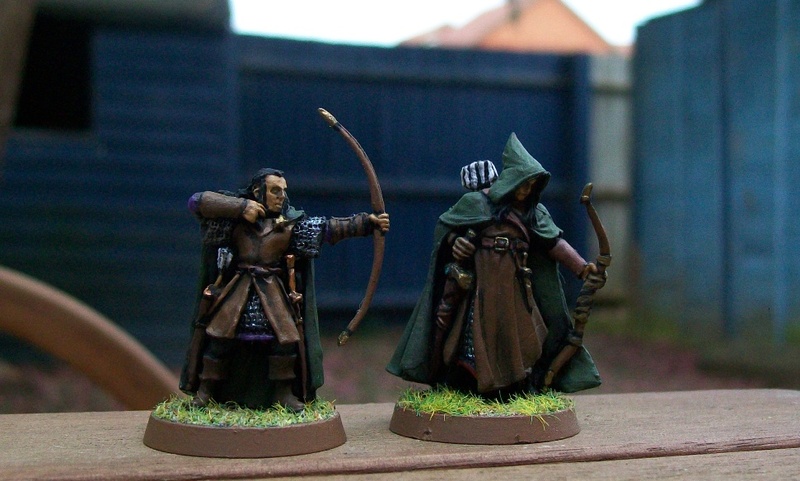 The difference between a level 1 wizard and a level 10 wizard is noticeable, but it is unlikely to dictate the outcome of a game. Secondly, I believe that the players in a given campaign are actually in a better position than I am as the author to determine if there actually is an imbalance and what to do about it. A lot of the power of a warband is situational. 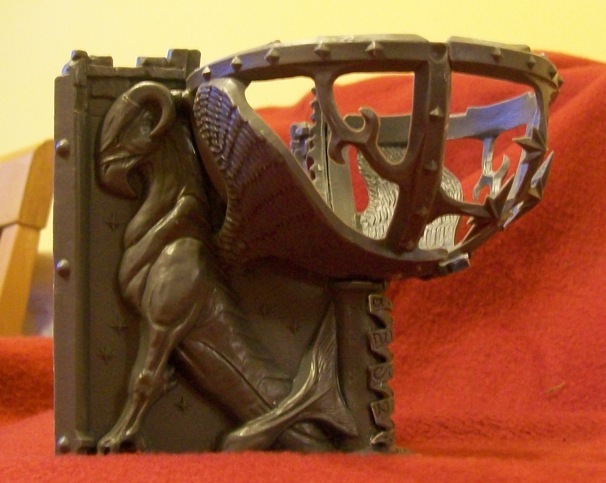 In truth, the spells you pick for your wizard, compared to the spells your opponent picks, combined with what scenario you end up playing and/or what random monsters you encounter is far more likely to effect the outcome of a given game than a difference in experience level or wealth level. I do believe there is a potential problem with wealth level right at the beginning of the campaign. 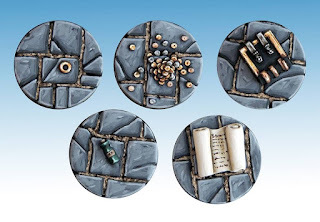 A couple of lopsided games to start a campaign can see one warband jump quickly ahead of the other – especially if the winner spends all of his money just on improving his warband to buy the best soldiers possible. This problem tends to fade away as a campaign continues, but can be very disheartening to a new player. I’m not quite sure what to do about this at the moment, but am continuing to think about it. In the meantime, once again, I think the players are probably in a better position to determine if this is actually an issue in their own campaign than I am. A lot of people have already introduced house rules to work on these issues. I try to read them all. Some I contain very good ideas that I might want to incorporate into future supplements, or a future ‘Second Edition’ should I be that lucky. However, the game is still very young, and I don't want to be hasty about introducing rule changes unless I think they are absolutely necessary. One thing that has somewhat surprised me is the number of people playing 3 and 4 player games. While I designed the system to handle this, I assumed most people would be playing 2 player games. In many ways helps mitigate some of the perceived issues discussed above. Multi-player games tend to naturally help balance a campaign due to the extra chaos generated and the gang-up effect on anyone who appears to be getting too powerful. However, in the future, I need to give more consideration to what effect given rules and/or scenarios might have on a multi-player game. In the main, it’s been really exciting watching the chatter and hobby activity that the game has generated. I love reading the back-stories that people have created for their wizards and their warbands. I also really enjoy seeing after-action reports. It is extremely gratifying to hear about people having fun in part thanks to my rules, and also these help inform my opinion on the game going forward. Finally, I just want to thank everyone who has given the game a try. The support from the gaming community has been wonderful and a great encouragement to keep working on Frostgrave. Although it seems a long time ago, around the end of July, I was in Fredericksburg, Virginia, running demos of my new fantasy game Frostgrave at Historicon. At the time, the game was getting a little interest on the forums and such, but I had no idea how the game would actually be received. I ran a lot of demos that weekend, met a lot of nice people, and even sold a few books. However, there were two people in particular that I met that really made it a stand out show for me. The first was Howard Whitehouse. Howard is the writer of many wargames, probably the most famous are Astounding Tales and Science vs. Pluck. Howard came up, introduced himself, chatted for a bit, and then bought a copy of Frostgrave. 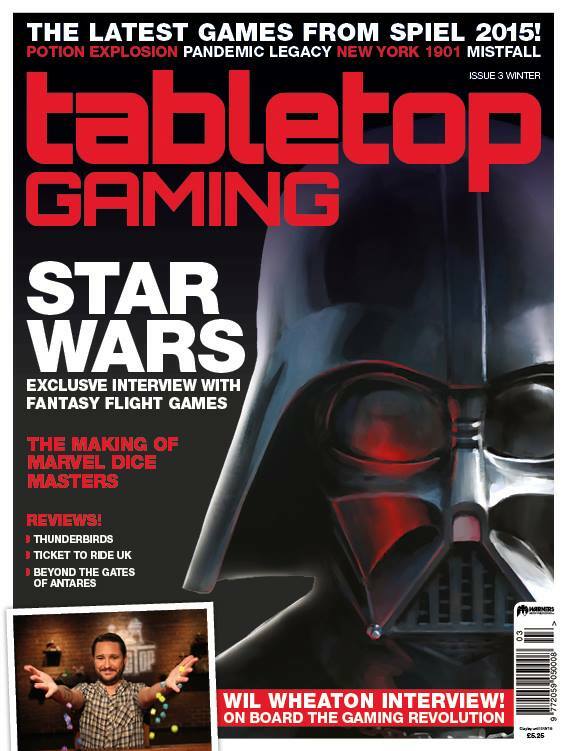 After only a few minutes of conversation, it was easy to see why he is such a popular guy in the wargaming world. The next day, I ran into him again. He held up his copy of Frostgrave, and said 'There's some good stuff in here'. 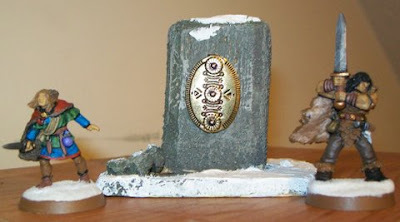 He then gave me a little piece of terrain he had made to sell at show. It is in the photograph above. It's just a couple of pieces of wood, with, I think, a bit of old jewelry glued to it, but it such a perfect piece of Frostgrave terrain that I could believe it had been made for the game. Thanks Howard! Later that day, a guy came up to the stand carrying a box of plastic Frostgrave soldiers that he'd bought from another dealer. He introduced himself as Bobby Jackson. 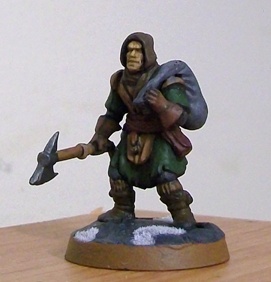 It took me only a second to realize he was 'the' Bobby Jackson, who had sculpted so many of my favourite figures for Reaper Miniatures! 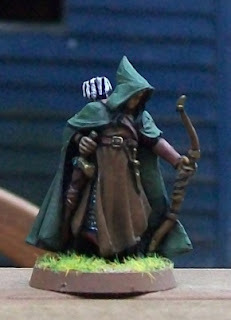 In fact, I was using a wizard that he had sculpted to lead one of the warbands in my demo. His enthusiasm is completely infectious. 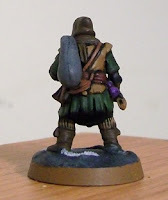 He too went away with a copy of Frostgrave. 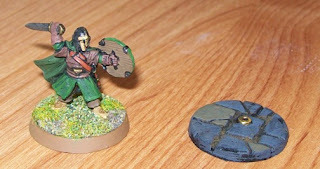 It was only when I got home that I realized that Bobby Jackson also sculpted the last miniature I had painted before I left for the show, the Elf Ranger (seen in a previous blog). 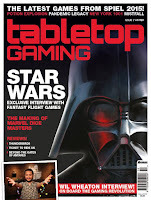 So, while most of Historicon has been pushed out of my memory by jet lag and everything that has happened since, those two meetings have stuck in my memory and made it one of the best wargaming shows I have attended.